Are you planning a vacation? Need to go out of town on business? Are you concerned that you can find someone trustworthy to care for your cat while you’re away? If you need to travel and can’t take your cat along, why not plan to have your best friend stay with us? Traveling can cause enough stress and anxiety – you don’t want to worry about whether your cat is being well cared for. 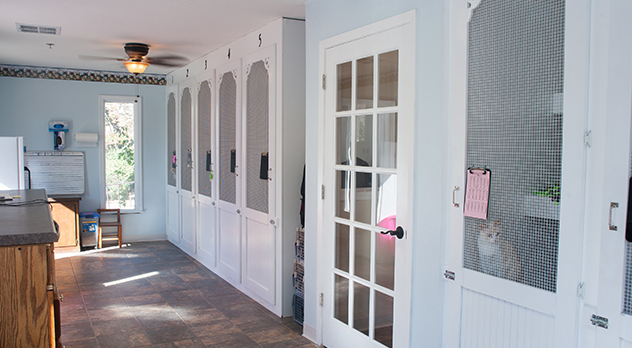 We offer a convenient solution by providing dog-free boarding in our safe, clean and comfortable environment. 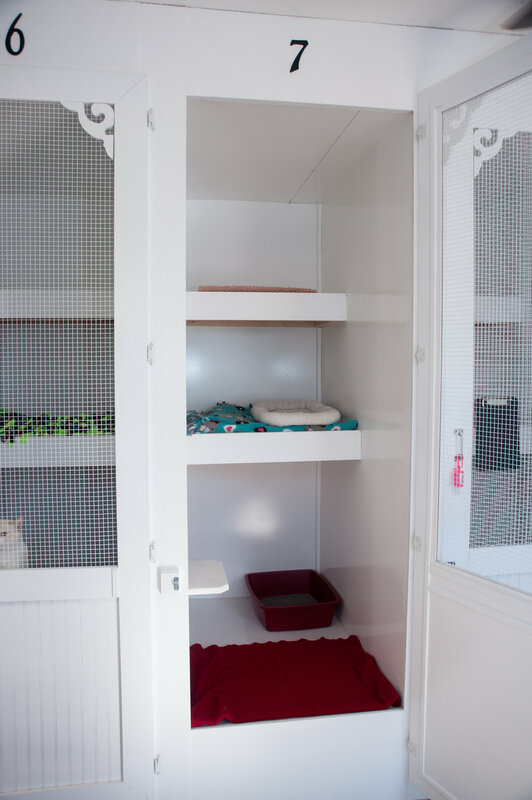 We have several options for our boarders including our family boarding where up to five kitties from the same family can stay together in a cage free homey environment with a room all to themselves. Our professional and friendly team takes great care of our kitty guests. 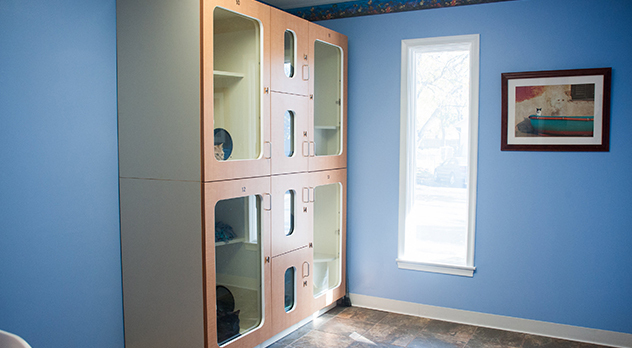 We understand that each cat is unique, and we will make every effort to ensure that your cat is safe, happy, and healthy during his or her stay with us. 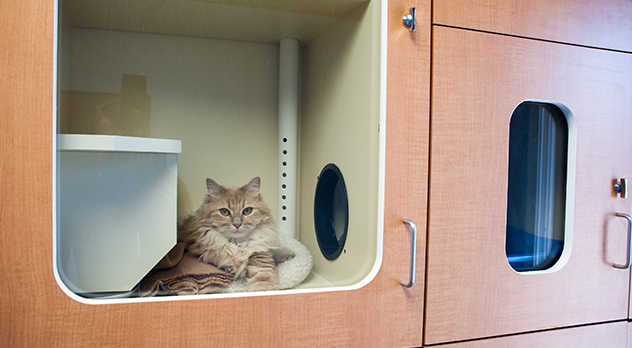 We’ll treat your cat with compassion, and we’ll provide individualized tender loving care until you return! 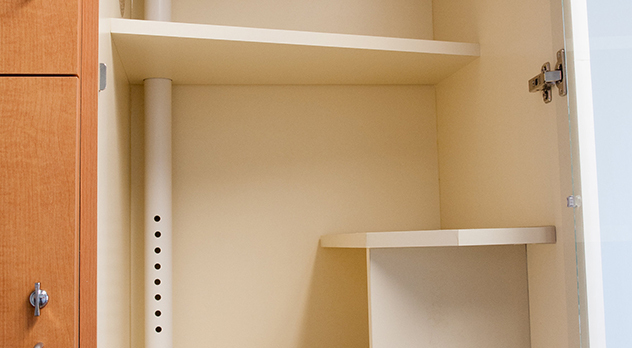 Does your cat have special needs, health issues, medication, or a special diet? We understand that your cat has a special place in your family and that leaving your cat with someone while you travel can be a source of anxiety and uncertainty. We take great pride in our attention to cleanliness and in providing the highest quality care to each cat that stays with us. We require all of our boarding kitties to have an examination done by one of our clinic's veterinarians within the past year. Boarders must also be current on rabies and upper respiratory vaccines. If you give flea treatments at home, just let us know. Otherwise, we do give a dose of Revolution to our boarders just to make sure no one goes home with any hitchhikers! 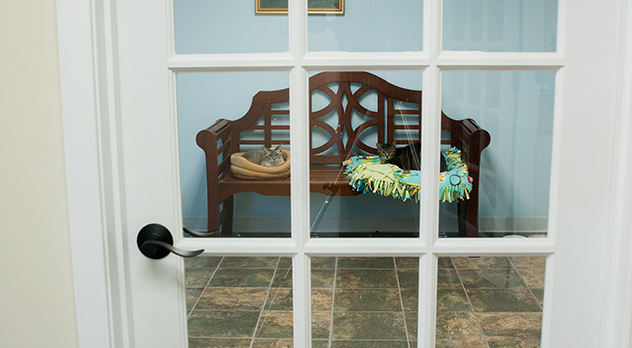 We welcome your questions about our boarding facilities and policies and are eager to discuss how we can make your cat’s stay as happy as possible, while alleviating any stress you may be feeling about leaving your pet while you travel. 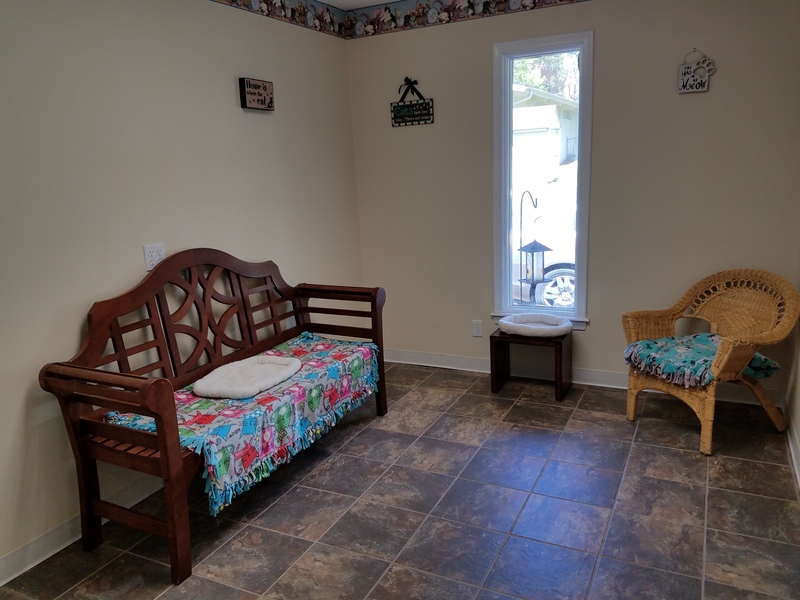 Stop by and take a tour of our boarding facilities or call us for more information. Let us answer all your questions and put your concerns to rest!